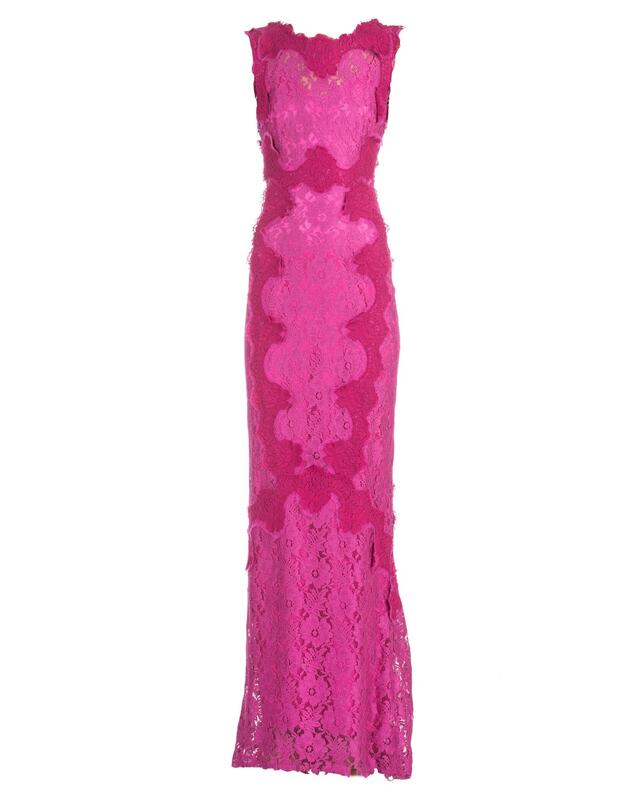 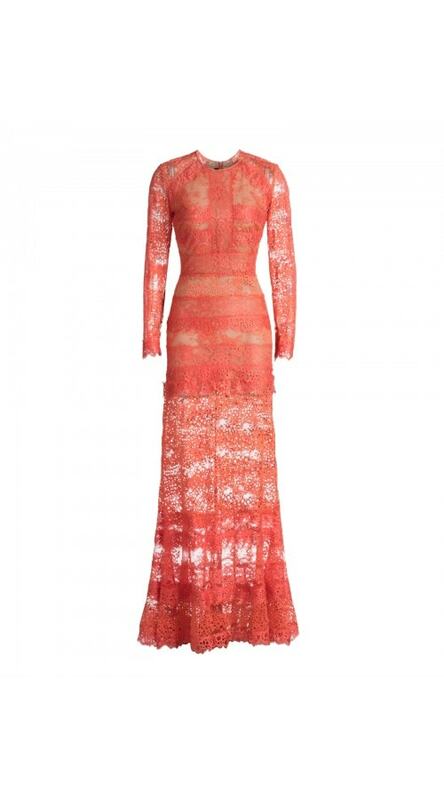 In two tone magenta lace, this floor length gown is strikingly feminine. 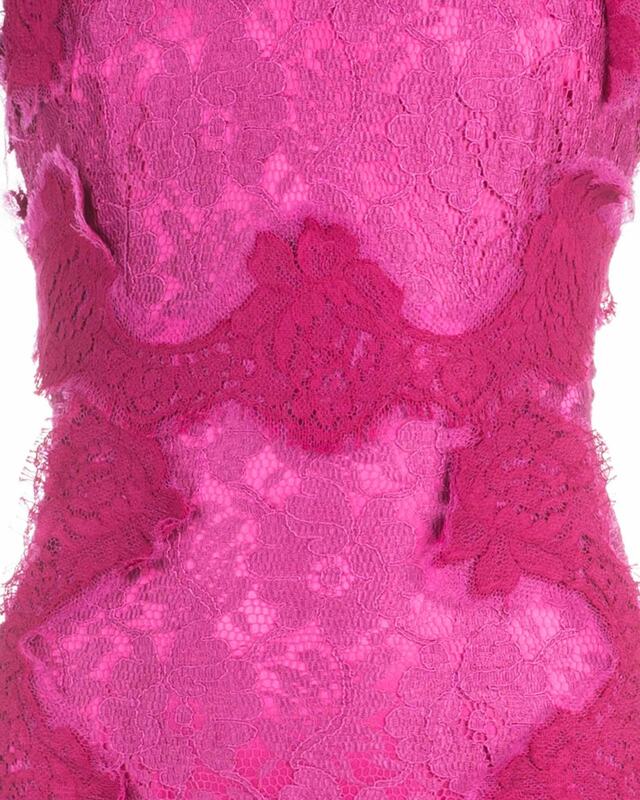 A classic sleeveless round neck bodice features an elegant open back design. 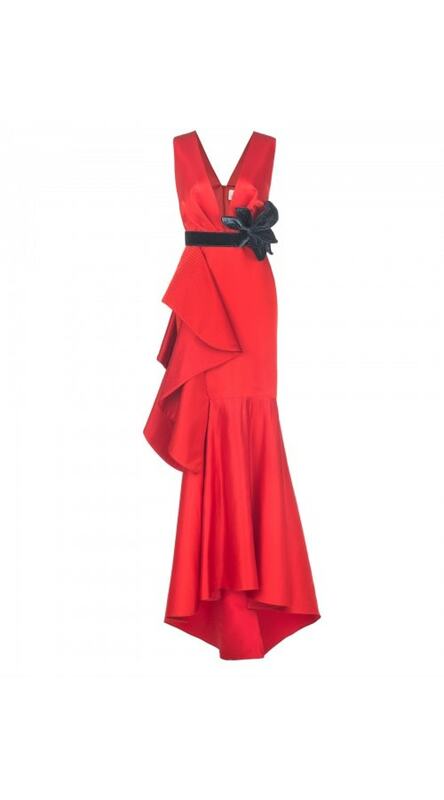 Contouring the silhouette in a mermaid shape, the skirt presents a slight flare below the knees in a draped effect.